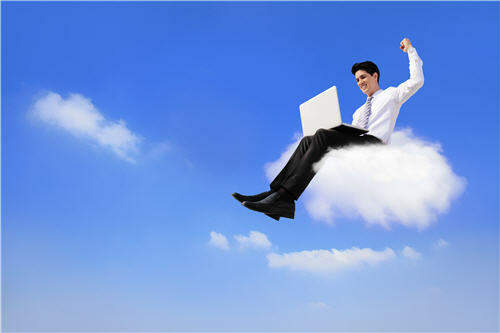 In theory moving to the cloud promises lower costs and improved business continuity. However, “In theory, theory and practice are the same. In practice, they’re not.” Was Yogi Berra discussing cloud computing? 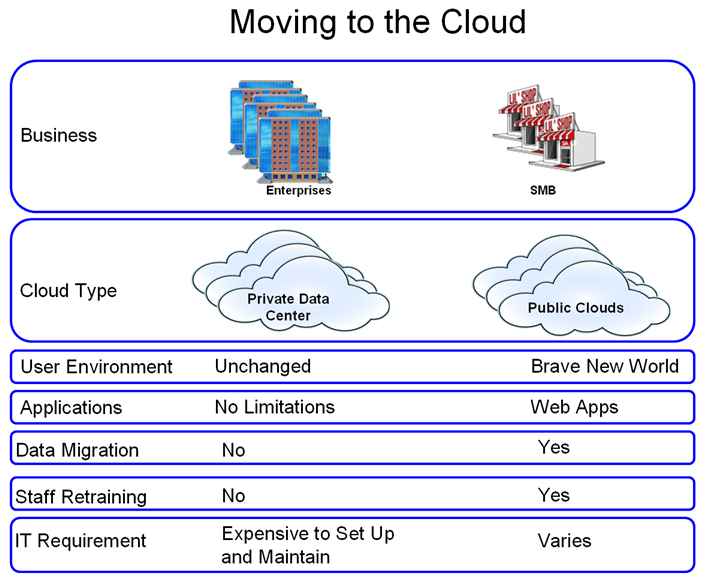 What is “moving to the cloud?” It is different things for different businesses. For the enterprise, moving to the cloud means establishing private data centers. Small local data centers are replaced with consolidated data centers which the enterprise accesses over the internet. Consolidating data centers can result in substantial cost savings. These private data centers support the “pre-cloud” computing environment. The enterprise is free to replace legacy local services with services hosted by third party providers. The enterprise is able to assemble the mix of proprietary systems it maintains in its private data center and third party services provided by others. The private data center requires substantial IT expertise and significant investment in the private data center. For the SMB, moving to the cloud is completely different. Rather than investing in private data centers, the SMB is moving to the public cloud. With that move comes the retirement of the “pre-cloud” computing environment in favor of cloud applications. Data must be migrated to the new applications. The staff must be retrained. The new applications, being hosted by others for the masses, are subject to little, if any, customization. There is a substantial risk that cloud apps will not work well together. A recent study by Dynamic Markets Limited found cloud integration is difficult and that cloud integrations are often abandoned because the cloud applications cannot be integrated — 69% of cloud adopters have attempted to integrate cloud apps with other cloud apps and/or software and systems — but 87% of those attempting integrations encountered negatives along the way – in fact, 55% have tried and failed. For small enterprises that lack the IT expertise of the mid-sized enterprises surveyed by Dynamic Markets Limited, the migration to and integration of cloud apps is daunting. The prospective costs and risks of migrating to new web applications, integrating cloud apps and the staff retraining required are substantial obstacles to cloud adoption by SMB’s. SMB’s want the same cloud that enterprises have. SMB’s want a private data center so that legacy solutions can be maintained when appropriate, hosted solutions can be adopted, and inefficient local wiring closets can be decommissioned. However, SMB’s lack the budgets that are required to create, operate and maintain private data centers — until now. Panavisor allows public cloud providers to provision their data centers as virtual private data centers which are deployed to SMB’s using preconfigured appliances. By reducing the required IT expertise, our data center partners are able to deliver solutions that are currently available to only the most sophisticated users. Our virtual private data centers can be deployed for prices that are comparable to managed cloud solutions.